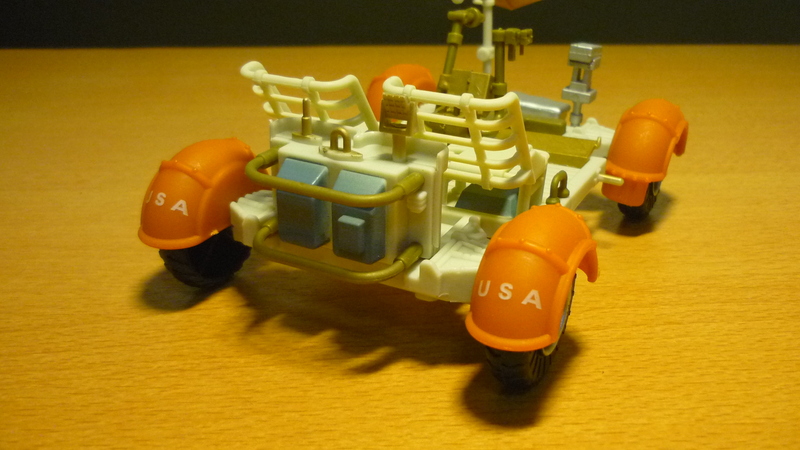 And since it was so much fun the first time round… I’ve decided to showcase again the 1:18 lunar rover. 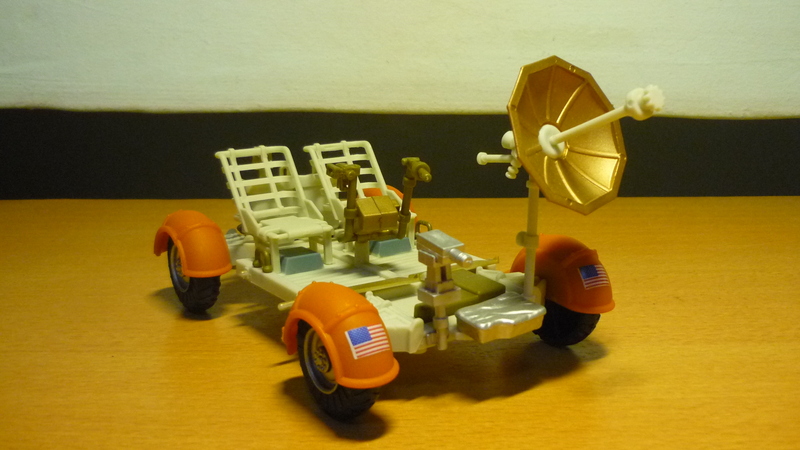 The lunar rover, also popularly known as the “moon buggy”, was used on the last three missions of the Apollo Program (Apollo 15, 16, and 17). It allowed the astronauts to explore the lunar terrain a greater distance away from their landing site, since in previous missions the astronauts were limited to short walking distances due to their bulky spacesuits. In actual fact, during the missions the lunar rover was still restricted to within walking distance of the lunar module, just in case the rover broke down at any point. But the lunar rover performed all its functions on the Moon reliably without any major anomalies, apart from several cases of the dust fender breaking off. 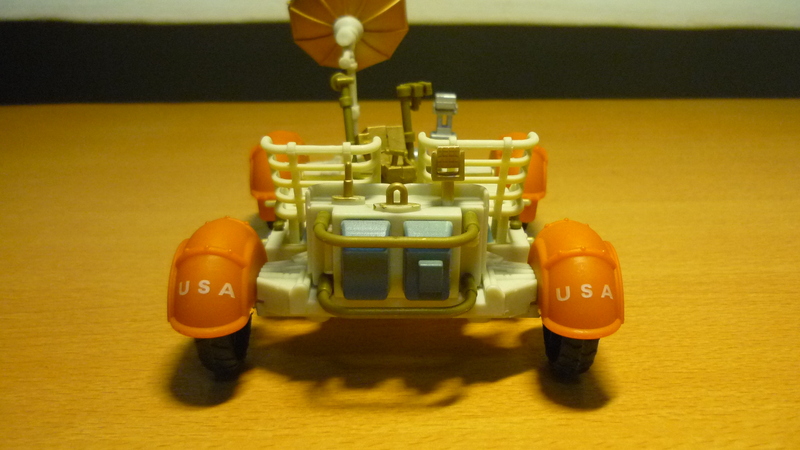 As you can see, the lunar rover model appears to be exquisitely detailed, even though I believe it is a knock off copy of an original brand. 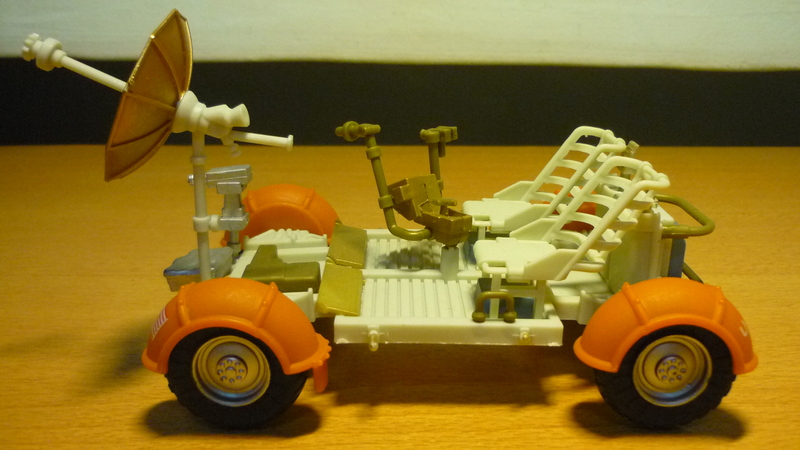 Back view of the lunar rover. 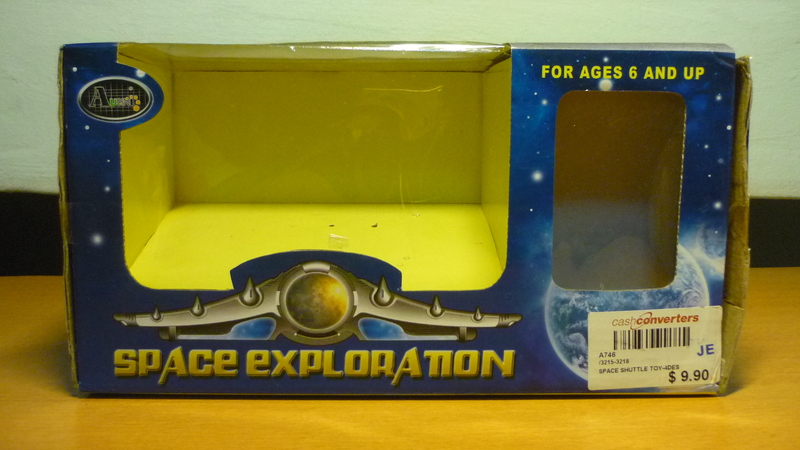 This is the box that the moon buggy model came with. The brand is one “Ausini”, the lunar rover coming under the “Space Exploration” series. 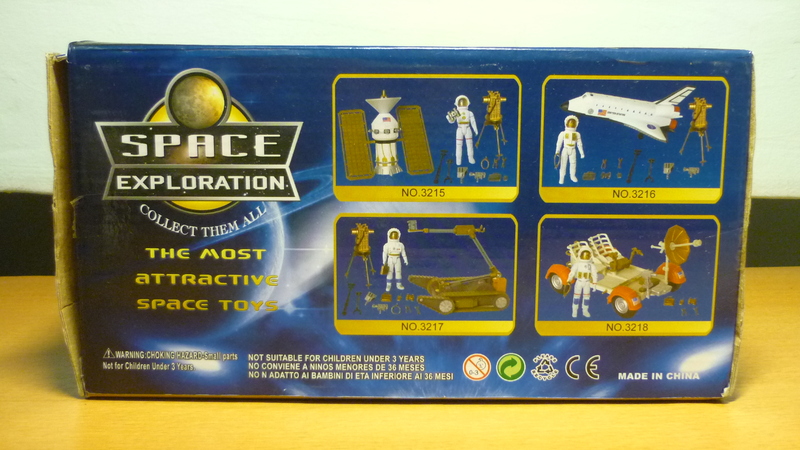 Other releases apart from the moon buggy includes a satellite, the space shuttle, and one robot exploration vehicle which doesn’t seem to be based on any actual space robot vehicles. 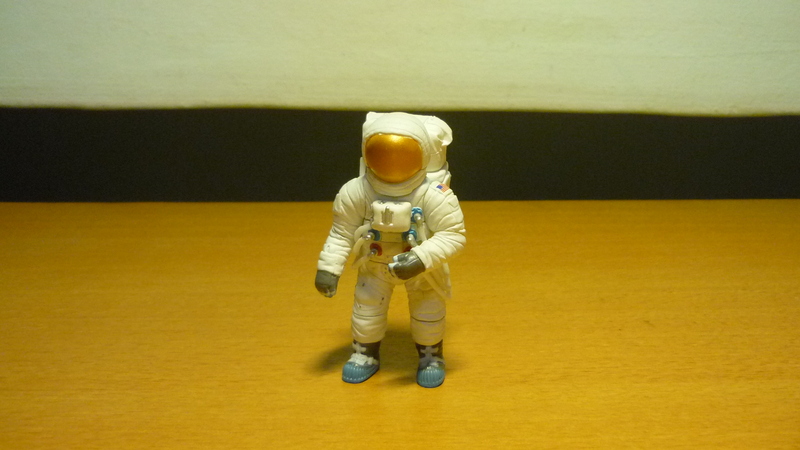 And each comes with an astronaut figure. 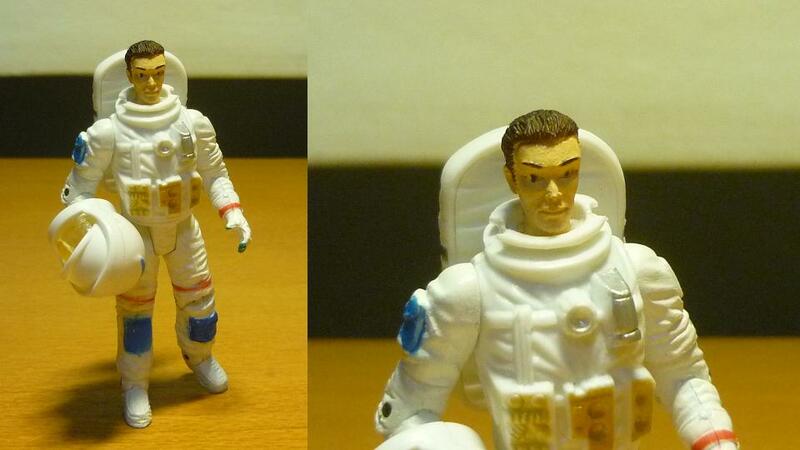 And the reason why I haven’t featured the astronaut figure is because the knock off appears to be a very bad pastiche of a Benedict Cumberbatch resemblance. Urgh! The actual man on the moon. 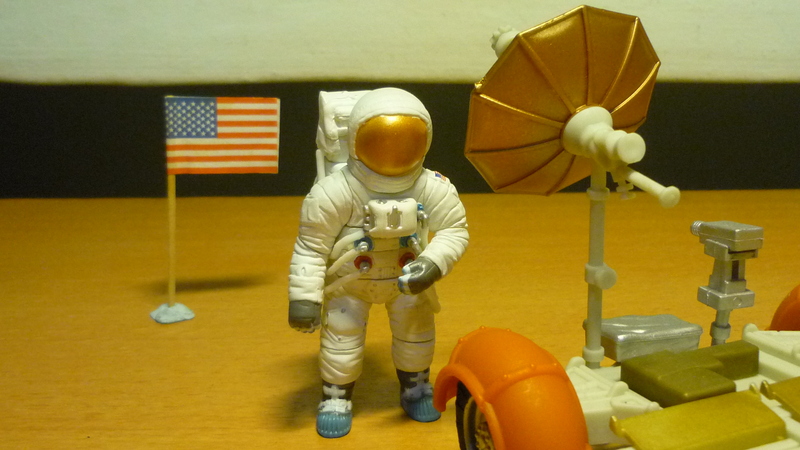 This is a 1:20 Apollo astronaut that I’ve acquired to showcase with the moon buggy. He’s also quite detailed, you can see all the pipe attachements connected to the backpack. 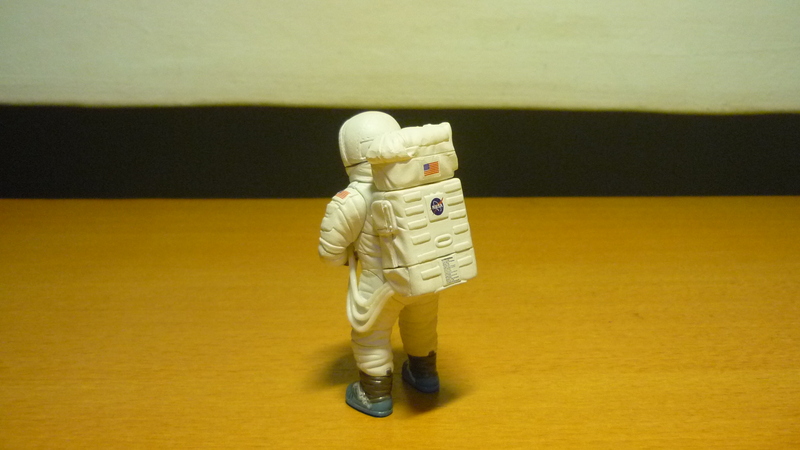 Back view of the Apollo astronaut. 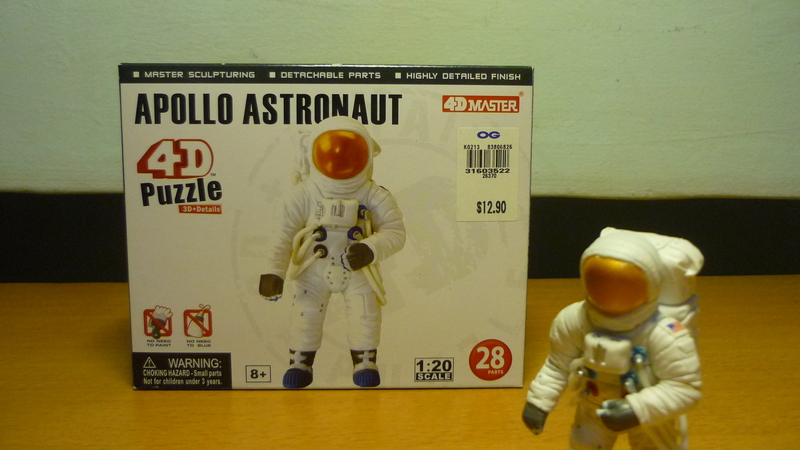 The Apollo astronaut is a 4D puzzle coming under the “4D Master” brand. 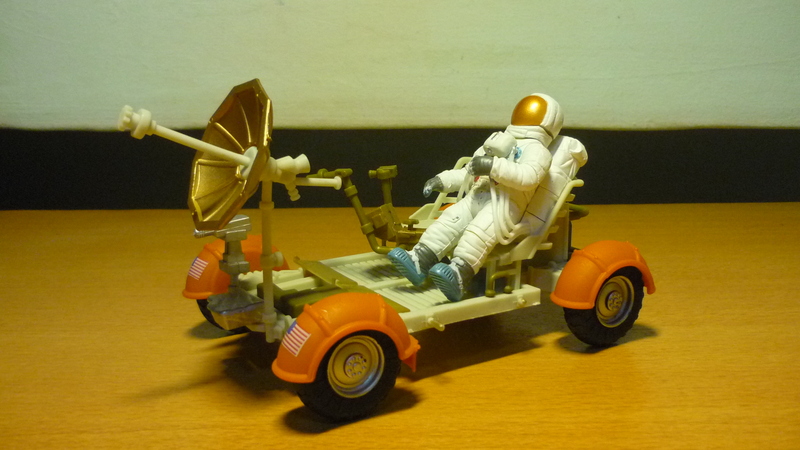 Apollo astronaut and the moon buggy. 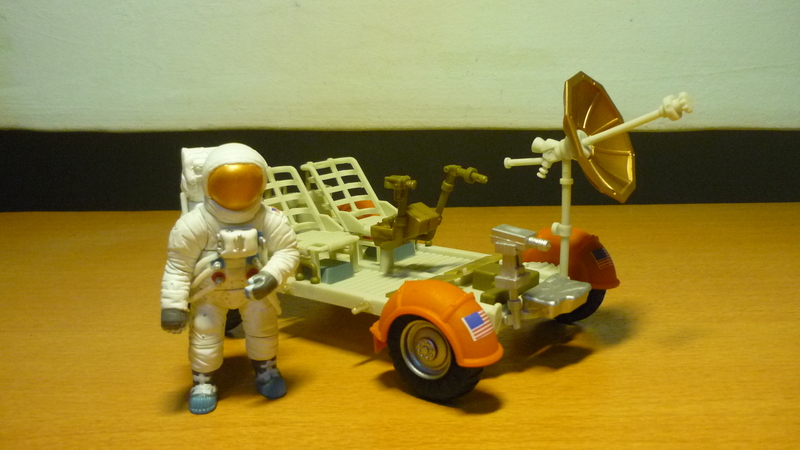 Even of a slightly different scale, the Apollo astronaut together with his backback fits snuggily on the rover seat. The mission commander served as the lunar rover driver, occupying the left-hand seat of the rover. And so you’ll know where we came from. P.S. 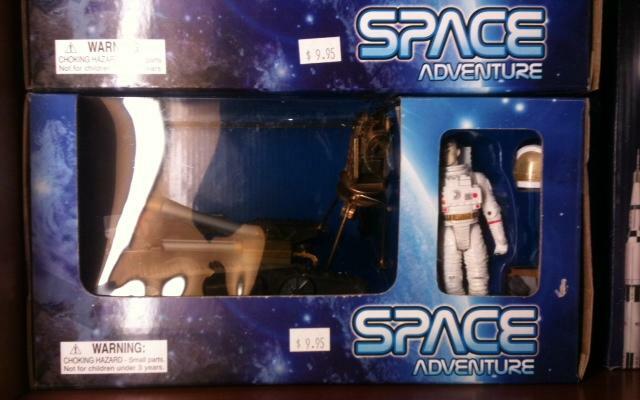 While searching the internet for more information about the moon buggy, I’ve came across this picture of the “Space Exploration” robot exploration vehicle which came with a different title (“Space Adventure”) and a different box art. Go figure.